The other night I was walking to my car at a local shopping center, and heard a wonderful sound. Somehow piercing the din of the ever-expanding sub/urban sprawl, my ears were graced by the sound of spring peepers. Known by the scientific name Pseudacris crucifer (subspecies, crucifer) these little frogs are one of the first signs of spring in the eastern US and Canada. And after a long winter (both for us AND for them!) their peeping call from both permanent and ephemeral spring ponds is a welcome sound indeed. Their sound also has special significance for me. 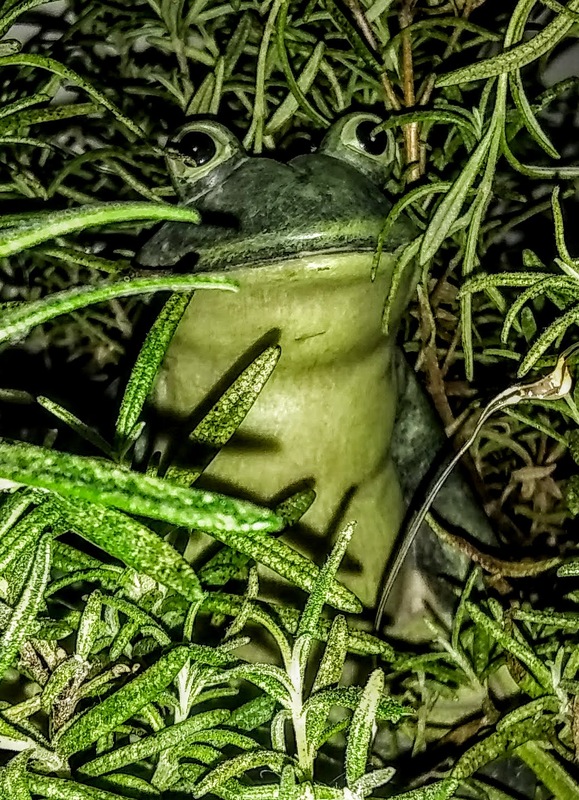 As our grandfather's health declined, my brother recorded the sound of peepers in a nearby pond so that he, though bedridden, could also enjoy their call. My brother sat by his bedside and they listened to the recording together, bringing Grandpa some feelings of peace in the last days of his life. That act of love has always held a special place in my heart and further deepened my respect for my brother. 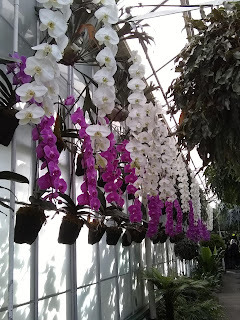 So every spring when I hear the peepers, I am reminded not only of the joyous onset of spring, but of an true act of compassion by one of the greatest men in my life. And having loved ones with character like that is truly something to be very grateful for. This post is part of the gratitude practice I have been working on since the beginning of 2018. Curious? You can read all about it at ByChanceBuddhism! When I compare recent BCB posts to those from a year ago, the similarities are clear. I am still focusing on gratitude, and celebrating the wonderful people, places, events, and things in my life. But now there is also a difference. Compared to last year's abundant posts celebrating the mundane, the profound, and everything in between, my current posts are somewhat less frequent. Cue my own mixed feelings on the issue. On one hand I feel a bit of panic that I am not sharing EVERYTHING I am grateful for RIGHT NOW, on the other I am cool with it. So, I think that I am going to err on the side of the 'other hand', because, well, sanity (remember, I am currently escaping the 'pitfalls of perfection'), and also because it is the truth. Sharing my own moments and sentiments of gratitude has become more than I ever could have imagined: in addition to being more in tune with the many, many sources of gratitude in my life, I have also established this feeling of connectedness. Like a kindred spirit, I know that you are there to listen to- and to share! - everything WE have to be thankful for, and that feeling is relayed whether I write here or not. In other words, I am very happy to share my gratitude, but I also know that this practice will evolve, and take on different forms, in both my writing and the practice itself. And that is something I am starting to feel really excited about. 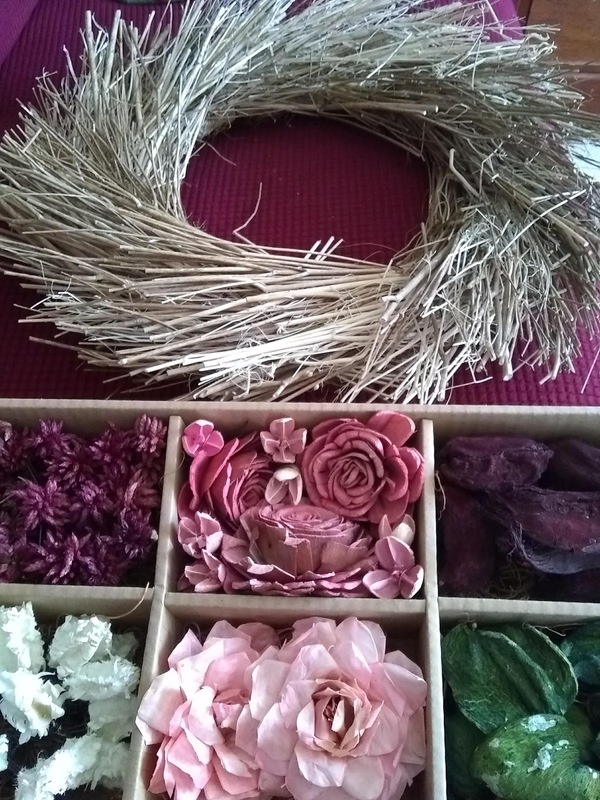 A few months back I purchased a plain straw wreath and decorated it with (discounted!) fall bouquet items from JoAnn Fabrics. 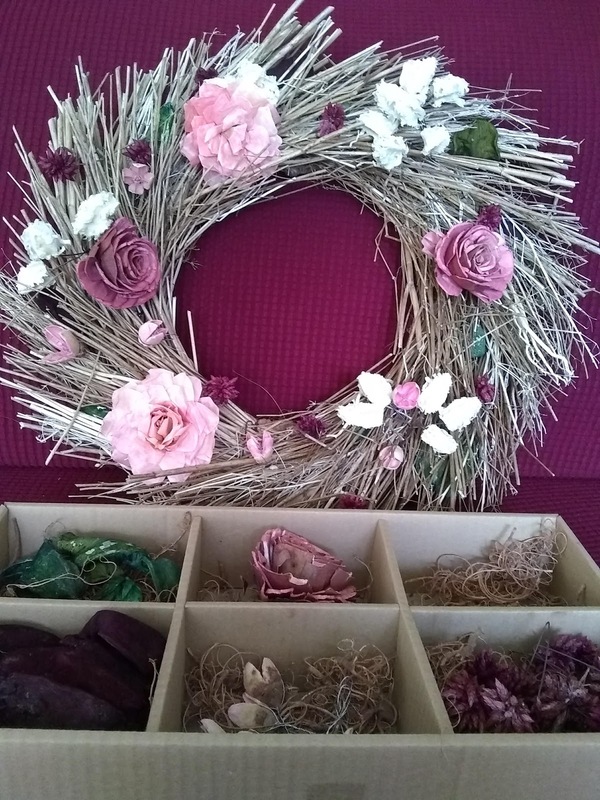 I also found a cool wreath kit there called 'Blooming Autumn', but the bright pink and green hues didn't really look much like autumn to me. It was then I realized I could use the same wreath for spring by removing the fall decorations and adorning it with the little doodads from the kit. So, naturally, a purchase was made! Although I love putting up wreaths and other seasonal decorations, we don't really have unlimited space for every season and holiday, so versatility is important. After the autumn finally gave way to winter, I packed the straw wreath away to hibernate for a while. After several months, I decided that it was time to give that straw wreath new life (wreath-incarnation?! 😄). Never mind the fact that spring is probably still several snow squalls and 'cold blasts' away, but now I WILL be prepared with a spring-inspired wreath ! So here's to a fun hour spent with a long-awaited project to celebrate an even longer-awaited season. Working on this wreath was a great creative outlet, and something I am grateful for! Before: Straw wreath and kit (purchased separately). of spring (whenever that is! 😄). About a week ago I was excited to FINALLY receive some items I had ordered online (I do think that the retailer's go-to mode of shipping is literally the 'slow boat from China' 😅). The package contained some fun stuff, including bookends for my daughter's room and some very fancy 'home socks' with narwhals on them. The last item was a beautiful jade/forest green shirt, which, after having gotten lost between UPS and USPS last time I ordered it (don't worry, my money was refunded), I was also very happy to receive. However, when I took the shirt out of its packaging I found that it REEKED of cigarette smoke. In addition to being a little grossed out, I wondered, if the shirt was not a return, how someone could be allowed to smoke in a facility where they package these things?! I couldn't help thinking about a warehouse filled with workers and (likely flammable) clothes and people carelessly milling about with lit cigarettes in their hands. (Aside from that thought: I should petition to be Smokey the Bear's sidekick if this whole teaching gig doesn't work out). Anyway, after being busy with other things for a few days, I finally got around to calling the company. The person who answered my call was SO understanding, and actually REFUNDED my money! I was so surprised, because my main purpose for calling was really to let them know about a possible QC and/or safety issue, not to get my money back for an item that was otherwise perfectly fine. But of course, I certainly won't complain, and am grateful for the unexpected refund. 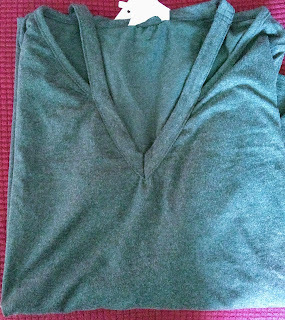 Image: It looks a little lighter here, but this is the shirt I received. I can't wait to wear it outside the house! With a title reminiscent of a 'blast from the past' viral internet video, I will just mention that this has been back-posted to February since this little bit of gratitude is well-overdue! Towards the beginning of last month, we received a mysterious package (in a good way, not an 'unidentified white powder' way!) in the mail. Lo and behold, it contained some very cute, soft and fuzzy clothing for our daughter that my sister was kind enough to send our way. Our Lotus Blossom has so much fun opening the envelope, seeing the cute card and holding up the clothes to her person, like the little fashionista she (already!) is. So a lot to be grateful for, including cute and fuzzy (and warm, and soft!) clothes and a sweet, thoughtful sister! Image: Cuddly duds for our little snuggler! As I sit to write each BCB post, I know that the flow of words from my mind and into the keyboard are heavily influenced by something that nags me in other areas of my life. What is it, you ask? Or, because I am aware that perfection does not actually exist, the pursuit of. Although I said at the beginning of this gratitude practice that I wouldn't get hung up writing the 'perfect post' for important people and events in my life, I admit, I totally have. And really, I should not be the least bit surprised. This is because despite my relatively newfound ability to let a lot of things go, I still put ample pressure on myself to be/do/have the best. I acknowledge that this form of pressure is a double-edged sword; in some instances it has propelled me towards perseverance and success, in others it has paralyzed me with doubt and fear of failure. In terms of my writing, for most of my life people have told me that I have a knack for it. That is, until the end of graduate school. After a harrowing experience trying to write, finish, and submit my dissertation, the words of one of my committee members rings in my ears while composing anything science-related. She said, "Scientific writing is precise writing. You need to learn how to be more precise with your words." Although I don't quite think my scientific writing resembled random prose drafted in a drunken fog, the advice was appropriate- and she was right about the importance of precision. It has been of great help professionally, as I communicated with students and authored laboratory exercises and manuals. Consequently, I believe that advice has also filtered into my BCB posts, especially those focused on gratitude. Caption: Beauty has its flaws, as flaws themselves can accentuate beauty. This post is part of the gratitude practice I am working on. Curious? You can read all about it at ByChanceBuddhism! Today I got up extra early so that I could take a walk and run some errands before attending a morning yoga class. Since my clothes, mat, etc. were ready the night before, my outing was not too hectic, but I knew that I would have a substantial pile of work waiting for me when I returned home. After thanking my husband for feeding our little one breakfast and getting her ready for the day, I kissed him goodbye and turned to the tasks at hand. Ready to just get it out of the way, I opened the dishwasher to begin the dreaded clearing. Lo and behold, it was EMPTY! My husband had kindly taken the time to unload it, and it was absolutely ridiculous how happy it made me. 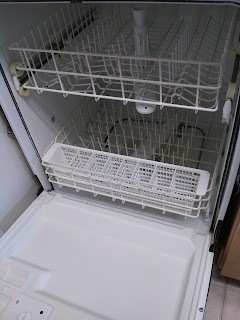 Due to our current schedule this may now just happen occasionally, it reminds me of when my dear mother-in-law cleared the dishwasher almost every single day of my in-laws' visit, and how much I appreciated that. This post is part of the gratitude practice I am developing. Curious? You can read all about it at ByChanceBuddhism!